This tool is a wrought iron, six-pronged, swiveled hop sampler. It operates like a pair of scissors. Growers and dealers used hop samplers to extract a sample from a bale of hops. They judged the quality of the crop and the harvesting process from the sample, and this determined a price for the product. 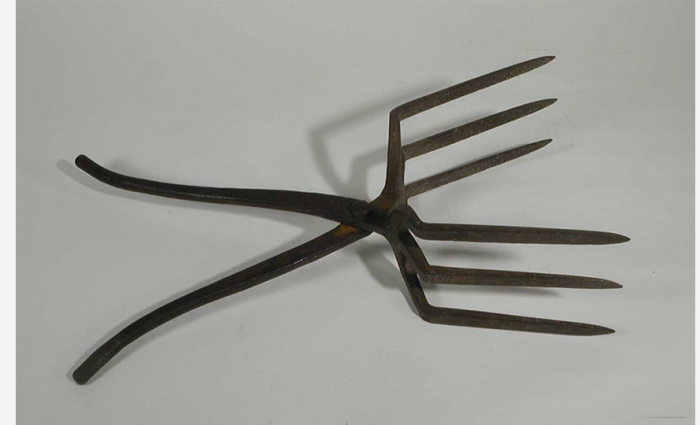 Hops Tester, 1900-1925, wrought iron, 16 x3. The Farmers’ Museum, Cooperstown, New York, Gift of William Schwerd, F0006.1974.